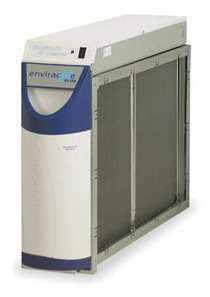 Dehumidifiers and Water Source heat pumps equipped with Factory Dehumidification controls can be controlled by digital thermostats that allow the user to specify the indoor temperature and relative humidity level. 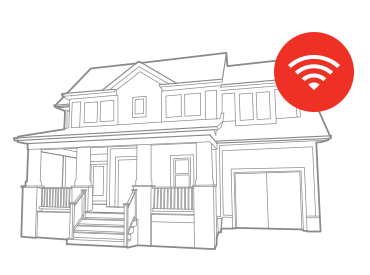 These controls orchestrate operation of the air conditioning system and central dehumidifier automatically. 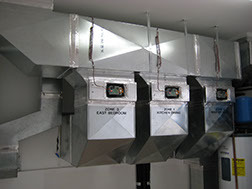 Honeywell Electronic Air Cleaners have been used for decades by Johnson’s customers. Honeywell has improved the product over the years and has added new IAQ products such as media air cleaners, HEPA Air Cleaners and Microbial Ultraviolet Lamps. 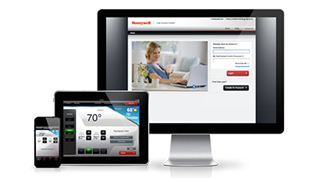 Honeywell whole-house dehumidification systems can be used as stand-alone humidity control units or used with integrated controls that operate in concert with the central air conditioning system. Honeywell whole-house dehumidification systems can be used as pretreatment systems for ventilation air from outdoors and controlled in convert with the fresh air damper and air conditioning system.